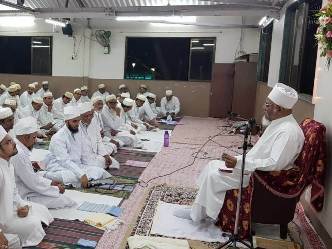 Safar e Maymoon of Mumbai started on 23rd Rajab 1440/29th March 2019, with Aqaa Maulaa Saiyedna saheb TUS doing tawalli of Fajr Imaamat namaaz at Badri masjid, Worli. The Zohr namaaz of Yaum ul Jomo'ah was held at Zenith hall. Aqaa Maulaa did bayaan related to Rajab fazeelat, the birth of Maulaana Ali AS in Ka'bah and the sawaab of reciting Salawaat. 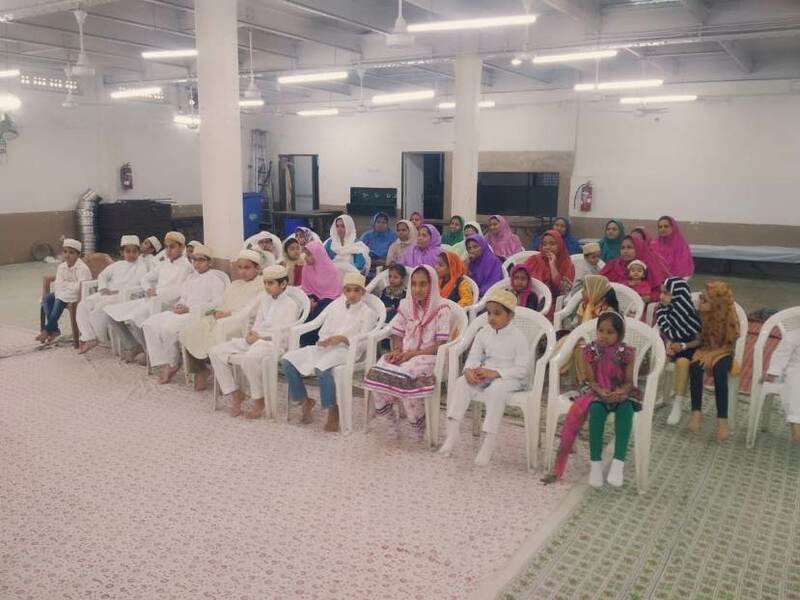 On Friday and Saturday, several new misaaq of Farzand-o-Dukhtar was held where in the majlis in present of parents Aqaa Maulaa stressed on the point that, "There are two birth of a mumin or muminah, one is physical and the other is spiritual. Physical is that which relates a mumin to his biological parents. Spiritual is the birth-wilaadat when a mumin offers misaaq to his spiritual parents i.e. Imaam uz Zamaan or his representative on this earth. Physical existence depends on the food and sustenance on material things. But spiritual well-being is totally based on pure knowledge, obedience, good actions and character and adherence to the divine law of Shari'at. Everybody can exist physically but very very few can lead life spiritually. Spirituality could only be achieved by following guidance given by Imaam uz Zamaan AS without any condition." After every Fajr namaaz, Aqaa Maulaa discussed some very important points of Ta'weeli aspect of Shari'at. All namaazi took the great opportunity to get nafsaani ascension and purity of soul. Topics were, Aflaak, Earth, Angels, Reward and Punishment etc. In one of the majlis-e-misaaq Aqaa Maulaa on the miqaat of behram of 37th Da'i e Mutlaq Saiyedna Shamsuddin Maulaa AQ, said that, "The mubaarak writings of Muqaddas Maulaa resembled greatly with the golden robe suspended on the Ka'batullaah. Only two Du'aat of India did Hajj twice during their Da'wat tenure. 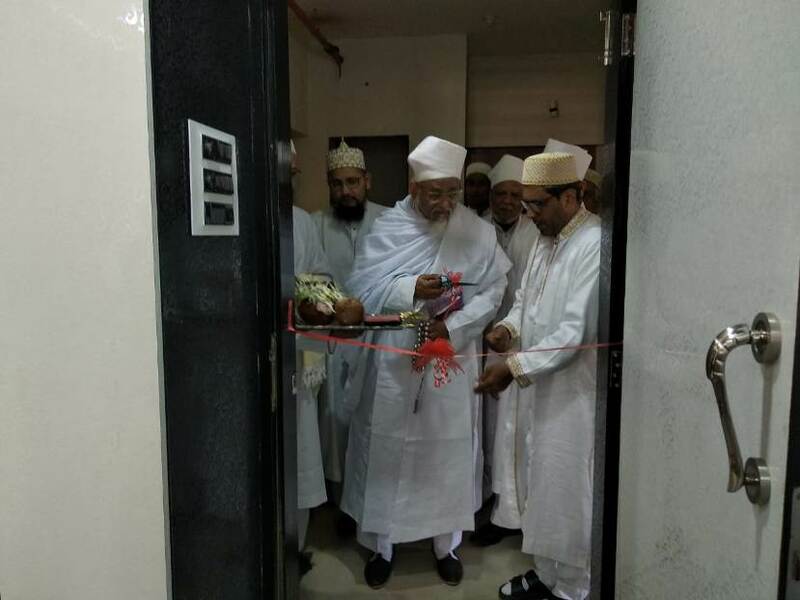 One is Muqaddas Maulaa and the other is 44th Da'i Saiyedna Taiyeb Ziyauddin saheb AQ. Muqaddas Maulaa trained his two sons in all aspects of Da'wat Umoor such that both of them reached to the Darajah of Da'i e Mutlaq." 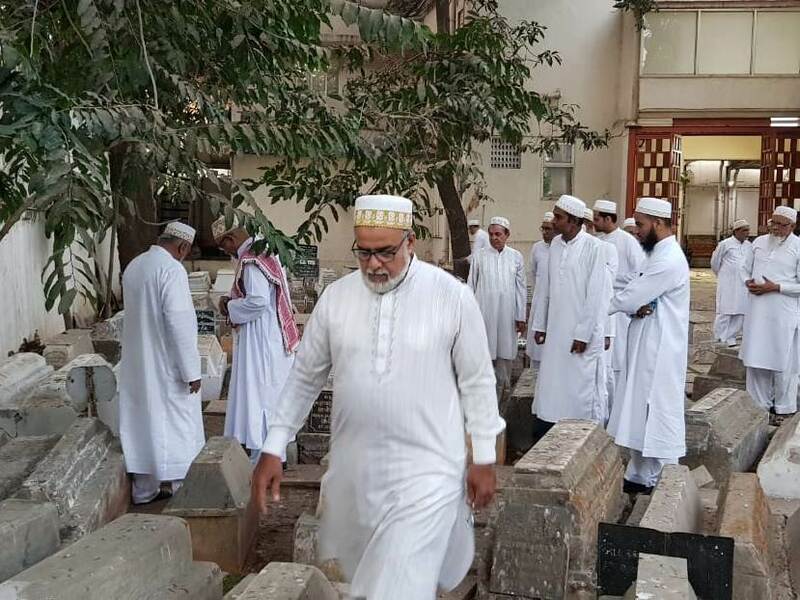 On the miqaat of 'Urs Mubaarak of Muqaddas Maulaa, Saiyedna saheb TUS after offering Fajr namaaz on Sunday, went in the Qabarastaan behind Badri masjid for chaadar and faateha of mumineen marhoomeen. 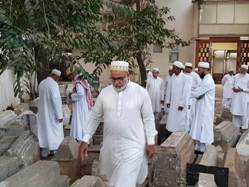 Maulaa inquired about the available space for burial of mumineen in near future and instructed Mumbai jamaa'at authorities for its ease. In one of the majlis of Inauguration of a flat, Maulaa said beautifully some kalaam-e-hikmat, "O Mumineen! Be cautious in selecting a friend, a life-partner, a house and a vehicle. If these things ought to be as per your needs and nature, then you have obtained the greatest bounties of paradise. You are the most favoured and chosen one by the Rahmat of Allaah Ta'aala. You will lead your Deen-o-Duniyaa with Tamakkun and Qaraar. 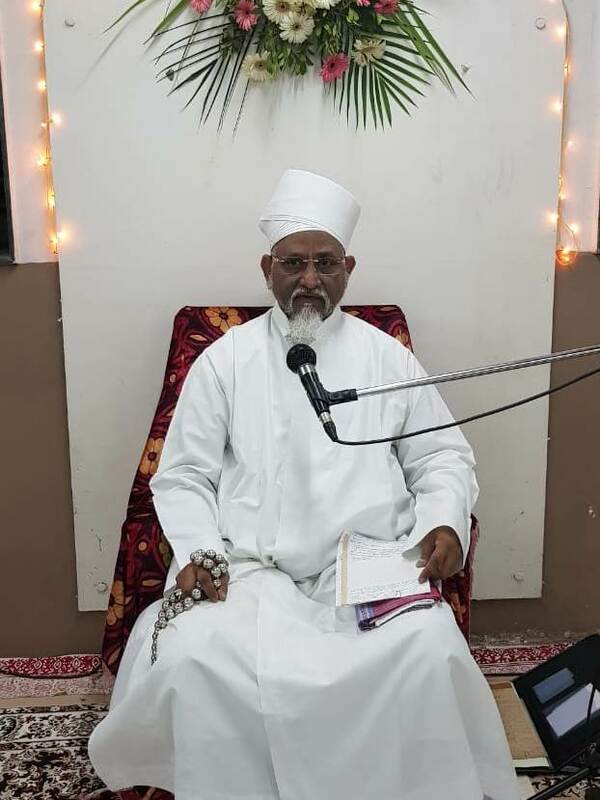 Aqaa Maulaa did khusoosi du'aa for Ahmadali Qurbaan Husainbhai Dhelawala for his efforts and Tafaddi in arranging for the stay of Aqaa Maulaa for 5 days at Agripada. 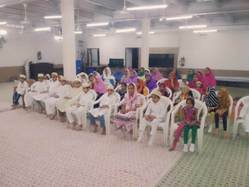 In the evening of 25th Rajab, Sunday, majlis of the sunnat of Rasoolullaah (saws) called "Sodhannu"was held at Zenith hall for Jamaa'at muminaat. Aqaa Maulaa addressed the gathering and did khusoosi naseehat to muminaat. Maulaa said that, "Worldly affairs are a subset of our Deen. You all should see that it does not overtake your Deeni obligations. Qur'an, Namaaz, Du'aa, Majlis and Mazaar should become a part of your daily routine. Parents should inculcate positivity of our Jamaa'at in the young and fresh minds of our job orientated and educated lot that their identity in the world is only because of our Jamaa'at. So they should choose their life-partners only from our Jamaa'at. Otherwise they would put their identity into dangerous hands." 26th Rajab, Monday was the mubaarak occasion of Laylat ul Mab'as and Laylat ul Israa wal Me'raaj. Aqaa Maulaa bestowed sharaf to Mumbai jamaa'at by remaining present for Namaaz, Washsheq and Bayaan. By presenting an entire glorious event of ruhaani 'urooj-spiritual ascension to heavens and aflaak of our Last Rasool Mohammad ul Mustafaa (saws) before 1442 years from the Surat Bani Israa'il and Surat un Najm from Qur'an e Kareem, Maulaa addressed the Jamaa'at and said that, "Never ever speak a word against our any deeni tenets. Belief in Me'raaj e Nabawi is also from our basic tenets. Those who express their views or doubt this event are from disbelievers. Deen is truth and all its pillars are founded on truth. A mumin should first believe in all our customs and traditions and act accordingly. Then if he wants to understand it without having any doubt or grudge he should approach Saheb e Da'wat." Aqaa Maulaa showed a laminated document and revealed its fact that, "Exactly 42 years back at the same place Bawaji saheb Maulaa gave me Razaa for the bayaan of Shab e Me'raaj and at that time I was Bhaisaheb Valiyullaah and in 1979 at the age of 19 years I came here for further studies in Arabic and Islamic literature, this was my first bayaan of my life before you. This document is a proof that contains aayaat and riwaayaat that I recited here for Me'raajeNabawi." Mumineen-muminaat in large numbers came to listen the pur-lutf bayaan of Aqaa Maulaa. Few Khidmat-guzaar shabaab arranged dinner for the entire jamaa'at. 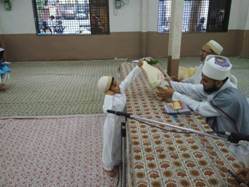 By the Razaa of Aqaa Maulaa on the Thaal (maa’edah) of Aal-e-Mohammad (saws), two ta’weezaat of Barakat and Hifaazat were distributed and mumineen were instructed to frame it and keep in their household, as those printed things which are irrelevant and improper as per our Aqeedah invite bad omen and negative effects to our daily work. 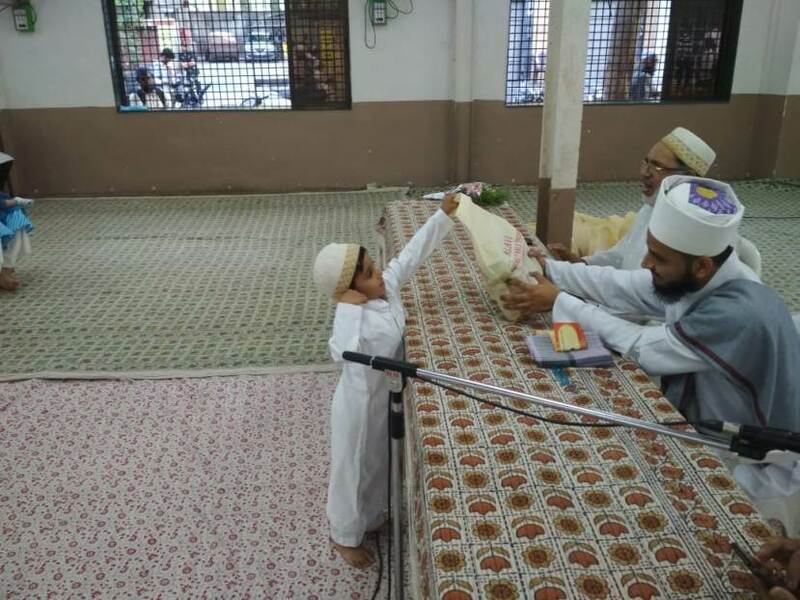 On Yaum e Mab’as, 27th Rajab, Tuesday evening, as many as 35 Rozadaar children were offered attractive and interesting gifts on the hands of Shahzada Sa’eed ul Khayr Bhaisaheb (dm). They have displayed a great courage and patience in keeping fast on this mubaarak day of “Sawa laakh Moti nu Rozu”. It is believed that, Rasoolullaah (saws) and angles will come with “Motiyo no Haar” and greet those children who has kept fast. It is the day when Rasoolullaah (saws) became Nabi and the first aayat of Qur’an was revealed on Ghaar e Hiraa.